JULIE A LOCKHART is a Los Angeles-based actor and movement artist who has developed and collaborated on projects of a variety of cultural expressions and physical disciplines. In 2008 Julie toured with Tri-Pi, presenting the puppet show The Pink Dress to schools in the LAUSD and to the Japanese American community of downtown Los Angeles. The Pink Dress told the story of Tsuki, an adolescent girl living in a Japanese internment camp during World War II. In 2007 Julie played a Fury in Orestes Remembered: The Fury Project with The Ghost Road Company. Orestes was developed by the ensemble under the direction of Katharine Noon at Loyola Marymount University, where The Ghost Road Company is in residency. The workshop production opened in February, 2007 at LMU where it played to sold out audiences. Orestes ran at The Powerhouse Theatre throughout the month of March, then visited San Francisco as part of the Fury Factory Festival at the end of April, 2007. Another recent project, Darkling, drew her to New York to explore opera from an experimental, Off-Broadway perspective. Produced by American Opera Projects, Darkling ran at Classic Stage Company’s theatre on East 13th Street in February and March of 2006. An international tour of Darkling is in development. In the spring of 2004, Julie performed in The Buddha Prince; an outdoor cross-cultural “walking play” of the life of H.H. the 14th Dalai Lama of Tibet produced by Tiger Lion Works/Zen Cabaret and presented in Pasadena's Lower Arroyo Park. 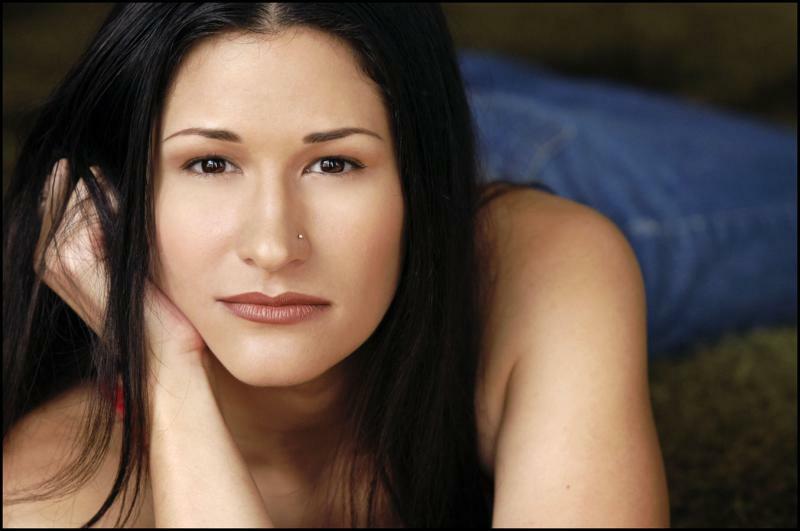 Julie reprised her role of Amala, the Dalai Lama's mother, in the summer and fall of 2005 with a new, touring ensemble assembled by Tiger Lion Foundation. The show was presented in Minneapolis at Minnehaha Park and in New York in Central Park and at the Theatre at Riverside Church. Julie is a member of Theatre Movement Bazaar’s ensemble and has performed in the company’s original productions of dumbshOw (2002), Cïrque Pïcníque (2002), Strange Beliefs (2003) (with Sacred Fools Theater) and Hollywood Macabre (2004) and puppeteered for TMB’s segments of Theatre Fofo’s Hasta La Muerte (2002) in Hollywood Forever Cemetery. In May of 2004, Cïrque Pïcníque was presented in Charleston, SC upon the invitation of the Piccolo Spoleto Festival. dumbshOw, Cïrque Pïcníque, and Strange Beliefs are available in the collection Three Plays by Theatre Movement Bazaar from Fools Publishing. Theatre Movement Bazaar’s next project, a live, multimedia production titled Monster of Happiness, is slated for a winter 2007 run at 24th Street Theatre. Julie completed filmed portions of the show with the ensemble in January, 2006. As an active member of the Los Angeles theatre community Ms. Lockhart has partnered twice with Angeleno companies on projects for the Edge of the World Festival. In 2004 she performed as the noirishly enigmatic leading lady, Rita, in a workshop production of The Spanish Cafe for the LA History Project presented by 24th Street Theatre. In 2005 she collaborated with Zoo District and choreographer Brian Fretté, bringing life to Queen Ankhesenamun, the wife of the ill-fated young King Tut, in Zoo District’s workshop of The Boy King. Commissioned for young audiences by the LA Future Project, The Boy King used dance theatre to tell the story of the life and reign of the famous Egyptian king. Julie is a former member of Los Angeles’ Sacred Fools Theater company. Some highlights of her time there include Don DeLillo's Valpraiso (2003), Tabloid Frenzy (2004) written and directed by the ensemble's Paul Plunkett, Shakespeare's Comedy of Errors (2001), and numerous appearances in the late night serial Crime Scene and in the spontaneous, 24-hour theatrical event that is Fast and Loose. While based in Chicago, Julie toured Tri-Art’s original commedia show Hfob-N-Ffos (2000) internationally, Tripaway’s Romeo and Juliet (1998) regionally and Emanon’s Rapunzel (1997) locally. Excepts from Rapunzel, a show for young audiences which she helped create through improvisation, are published by Chicago Review Press in Lisa Bany-Winter's On Stage: Theatre Games and Activities for Kids. Julie's Chicago film credits include the occult horror/thriller series “Invocation” (1999) with director David Schmidt and Sword and Cloak Productions and Death and Taxis (2004) with director Kevin Mukherji. Ms. Lockhart holds a B.S. in Theatre from Northwestern University and continues her training with study of Suzuki and Viewpoints with LA’s Burning Wheel and New York’s SITI Company. Julie is preparing to open MODEL BEHAVIOR with Theatre Movement Bazaar on January 30. Copyright Julie A Lockhart. All rights reserved.